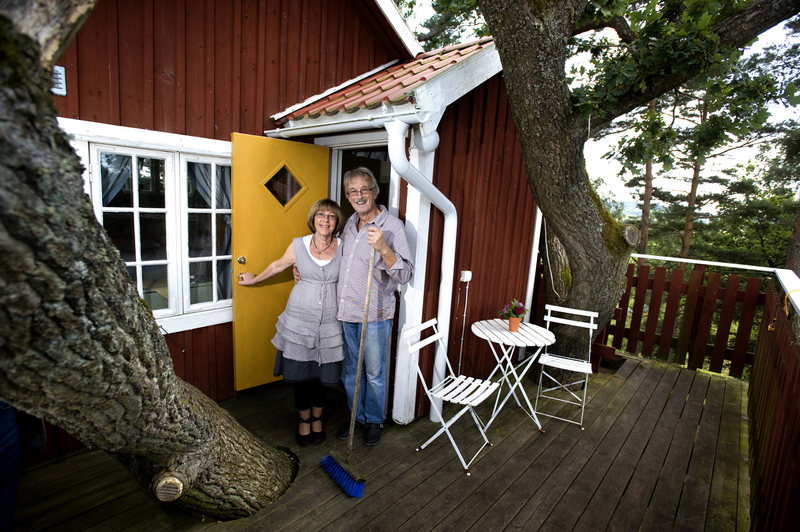 Located in a scenic area close Hornborgasjön and trandansen. Idyllic hotel Andrum offers an absolutely fantastic opportunity for those of you who are looking for something extra. Peace and quiet, yet with an abundance of excitement. 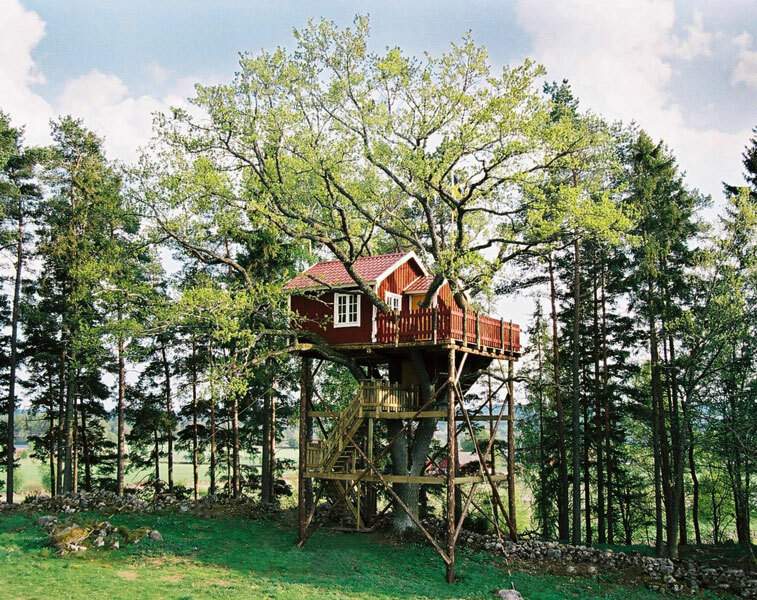 With its unique location 6.5 feet up in an old oak, it is completely undisturbed and enjoys spectacular views. Embraced by the large oaks generous foliage, fall asleep swaying gently with the wind. 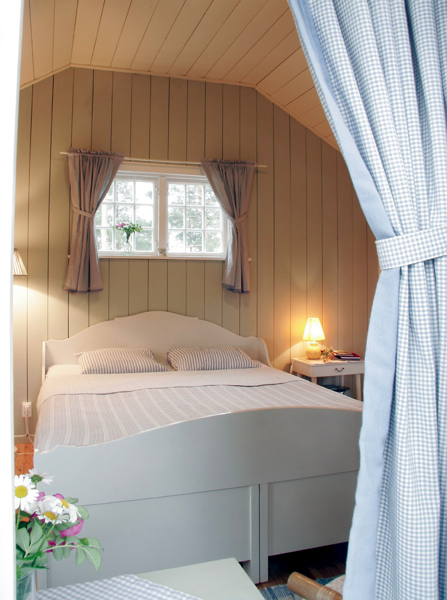 The room is approximately 18 m² and usable in winter. The walls are painted in carefully selected, mild and harmonious colors. Two patios provide opportunities for sun both at midday and sunset. From the beautiful double bed, one can easily conjure up two extra beds. In spring the place is a paradise for those interested in birds. One can observe the cranes run and listen to their powerful trumpeting first hand. The walls are painted in carefully selected, mild and harmonious colors. Two deck chairs provides opportunities for both the midday sun and sunset. 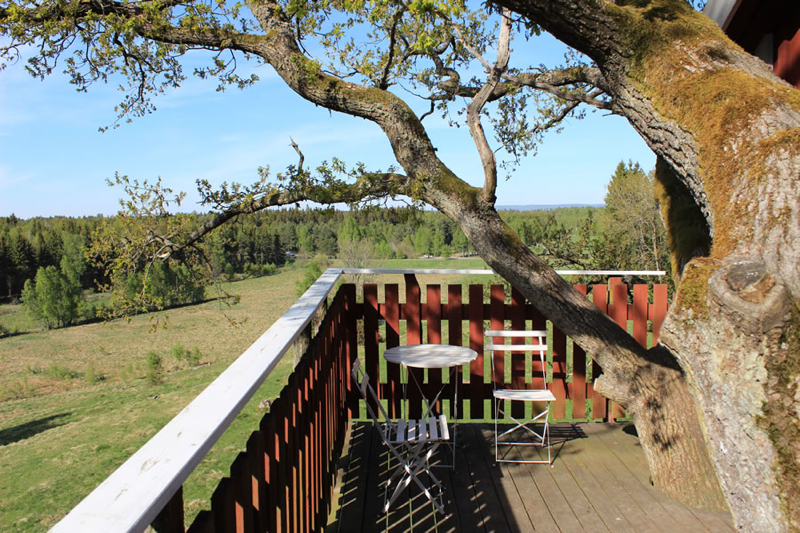 Idyllic hotel Andrum offers an absolutely fantastic opportunity for those of you who are looking for something extra. Nearly all our guests take the time to write a few sentences in our guestbook. Since 2004 we have filled several books! Read what people have been writing!